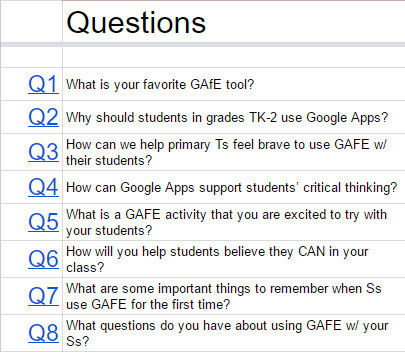 The first GAfE 4 Littles chat was AMAZING! A group of believers with various education titles came together to discuss using Google Apps for Education with students, more specifically in the primary classroom. 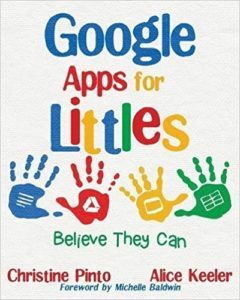 Some of the things we discussed were: activities that littles (primary students) can use, how GAfE can support critical thinking, things to remember when they first start using Google Apps, and addressing the fact that teachers need to be brave and can use GAfE with their littles. It is evident that there is a PLN (personal/professional learning network) on the GAfE 4 Littles hashtag. People were so kind in sharing their resources and providing support, insight and open mindsets. Below is the list of questions that led our discussion, as well as all of the Tweets that were posted in the hour of the chat. 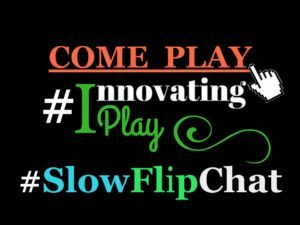 Be sure to catch the next GAfE 4 Littles chat! They will be held on Tuesdays, at 5 PM PST. This entry was posted in events, Twitter by Christine Pinto. Bookmark the permalink.